Less than a week ago, I *finally* finished the first draft of my first complete novel. I’m still feeling a bit ecstatic and can’t quite believe it’s actually done–sort of like I felt those first few weeks of 2009 every time I heard the words “President Obama.” Clocking in at 466 pages (128,000 words), it’s easily the longest piece of writing I’ve ever completed–even including the theses for my undergrad and graduate degrees and several ridiculously long federal grant applications. Other than that, though, it’s ready to go! I will soon be reading a triptych of books on writing and revising to get some advice from the masters as I work my way through the revisions. (LeGuin, King, McCloud) Revising tips from my fellow writers are welcome – please feel free to share! Boy Meets Boy by David Levithan (co-author of Nick & Norah’s Infinite Playlist) is not a work of speculative fiction. Or so I thought until I turned the first page. Nothing in Boy Meets Boy defies the laws of physics. The novel doesn’t feature any technological advances beyond cell phones and instant messaging. It’s not just a clever title, it’s also a handy plot summary: Paul is a high school sophomore who falls for Noah, the charismatic boy who’s new in town. Paul pursues Noah while navigating the complexities of friendships, ex-boyfriends, and high school life. And yet as I began reading Boy Meets Boy, I got the strange feeling I was reading fantasy. Maybe because Paul’s high school is not quite like any high school I know. The star quarterback of the football team, Infinite Darlene, is also the homecoming queen; she has trouble getting along with the other drag queens in school because they feel she doesn’t care for her nails properly. Paul’s kindergarten teacher helped him understand that he was gay, and when he came home to tell his mother, her reaction was to yell to his father, “Honey … Paul’s learned a new word!” Paul helped found a gay-straight alliance in the sixth grade, mainly to help the straight kids with their fashion sense and dance moves. So as to maintain truth in advertising… This is Nur! 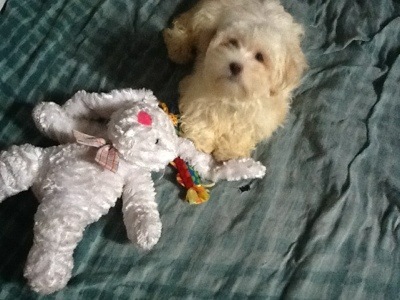 Newest member of the Ben/Hassan household, and the most adorable puppy in the Local Group of galaxies. Later I may have to do a post about my conversion from curmudgeon to dog-lover. At long last! By popular demand! Bread and Magic has returned to the intertubes! After several years of living the glamorous jet-setting lifestyle of a nonprofit professional working full-time-plus, I am happily returning to the more leisurely ways of a freelancer/writer. This is good news for you, dear reader, because it means lots of Ben Francisco facts and fictions headed your way! This year, for some hand-waving reason, I have been doing my reading in triptychs: sets of three books that go together in some way. Some are actual trilogies, such as the original Song of Ice and Fire trilogy (which I finally got around to reading), while others are more thematic, such as the “Quirky Love Story” triptych that I’m currently working my way through. Some have weird connecting threads that may be hard to follow, such as my “Nick and Norah Triptych” (dedicated to Peter Ball). All are entertaining, at least for me, and are a fun way to push myself to read outside my usual genre comfort zones and to put those intertextual-analysis tools from my comp lit degree to some sort of use. And triptychs make great blogging material, too. I may even try to put up some sort of list of all the triptychs online somewhere. Any ideas about a platform that would be good for that? Goodreads, maybe? 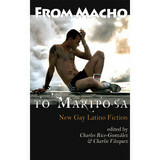 My short story, “The Fermi Paradox,” was published in From Macho to Mariposa: New Gay Latino Fiction, a fab anthology made up of just what it says on the tin. Alas, despite the title, the story is not scifi, but it is full of gay geeky goodness. The antho also includes great stories by Justin Torres, Miguel Angel Angeles, and many others, so check it out! I now have a puppy. Prepare yourself for adorable photos. … though not in the same story. Today is Darwin Day, and in celebration Tangled Bank Press has released the print edition of The Tangled Bank, edited by Chris Lynch, featuring a veritable cornucopia of thought-provoking stories about Darwin and evolution, my “Entropy of Species,” plus great stories by Chris Green, Carlos Hernandez, and many others. 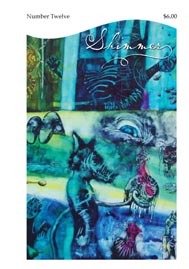 Also a belated note that the latest issue of Shimmer is now out, including my story, “Crepuscular,” a story of French-speaking snowmen, fireflies, and hair-dryers – and also my ode to my favorite children’s book of all time, The Little Prince (thanks, Mom, for reading it to us again and again and AGAIN!). For the second time I get to share the table of contents with Peter M Ball, who makes me feel like a bro and a fanboy at the same time, and who amazes all of us by writing a teenage werewolf romance that’s actually awesome. And, yes, I feel the need to add perfunctorily, I continue to be absent from the blogosphere. The pesky day-job still keeps requiring me to travel a bit, which is not conducive to regular blogging. The good news is that when I’m not travelling for work I’ve been working on the novel, which is now, oh, 60% done. I have only one goal for 2011: FINISH THE NOVEL. World Con Countdown Plus Queer Spec Fic! I’m writing in Brisbane, Australia, for my “Australia tour” in the lead-up to World Con next week. Been visiting the fabulous Peter Ball and the inimitable Chris Lynch, hatching ideas for gonzo stories about puppet occupations and were-raves and the like. Can’t wait to be reunited with more Clarion South-mates in just a few short days! Just before I left the States, I got my copy of Wilde Stories 2010, a lovely anthology of great gay speculative fiction from the past year. My story, “Tio Gilberto and the 27 Ghosts” is included, as are some great stories by Rick Bowes, Laird Barron, Tanith Lee, and others. 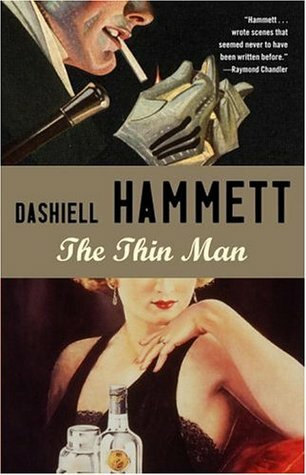 Brit Mandelo gave it a lovely review over at tor.com. And while you’re there, check out Brit’s series of posts on Queering SFF, which is chock-full of great reviews, interviews, and recommendations.